Fiber is an important part of every diet. According to the Mayo Clinic, current fiber recommendations for women are 25 grams per day or higher, while men should eat 35 grams or more of fiber per day. Due to the high level of processed grains in the typical Western diet, most people eat far less than recommended. High-fiber foods, however, are a great way to get more healthy fiber in your diet. Many natural foods are high in the dietary fiber you need for good health. Fruit provides good sources of natural fiber and tops the list of high fiber foods. For both insoluble and soluble fiber, leave the skin on apples, pears, berries, and other fruits with edible skin. Many vegetables are also high in fiber. For a diet naturally high in fiber, incorporate the following veggies into your daily meal plans. 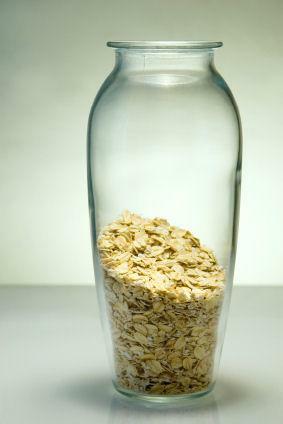 Grains, especially bran, pack a lot of fiber into a small amount of food. Grains are also filling, allowing you to feel full while eating less food. For added crunch, flavor, and fiber, add nuts and seeds to your salads and yogurt. They are also healthy snack options on their own. In addition to their high fiber content, nuts and seeds are sources of heart-healthy fats. Carefully read labels of the processed foods, which will list fiber in the nutritional information on the package, to find high-fiber foods. A high fiber diet has many positive health effects. If you're trying to lose weight, fiber also fills you up so you aren't as hungry for calorically dense foods. By increasing the foods listed above, you can enjoy the benefits of a high fiber diet.